The Raspberry Pi developers announce their mini-PC has passed CE quality assurance testing. 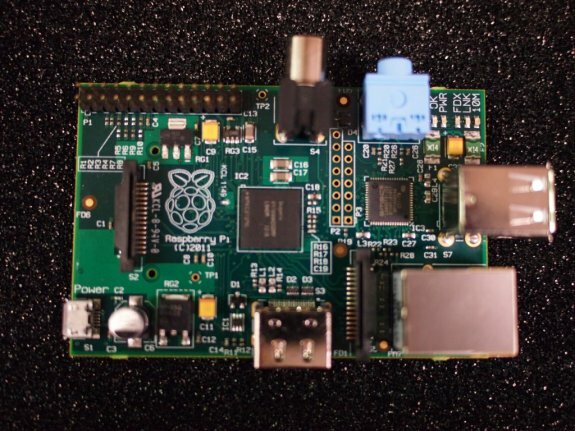 The company previously assumed it could sell "limited" volumes of the Raspberry Pi without CE certification, but its European distributors refused to sell the device without CE label, causing an additional delay. Now that this has passed, the Raspberry Pi should start shipping soon, full details at the firm's blog. Good news! We just received confirmation that the Raspberry Pi has passed EMC testing without requiring any hardware modifications. As you may know, we’ve had periods booked in a testing chamber at Panasonic’s facility in South Wales for the whole week. Jimmy, Craig and Gareth from Gainspeed, our EMC consultants (with assistance from Phil the EMC lab manager, occasional assistance/hampering from Eben and the aid of many Asda sausage sandwiches), have been working into the evenings, and lost their Good Friday holiday to get all the testing finished. There is still a mountain of paperwork for us to sign, and that then has to be looked over by RS Components and element14/Premier Farnell; but that’s a piece of cake compared to what we’ve been doing all week. Given that we’ve had the chamber for the whole week, we’ve used the time to make sure that alongside the CE requirements, the Raspberry Pi also complies with FCC regulations (USA) as well as CTick (Australia) and what we’ve been calling “that Canadian thing”. The Raspberry Pi had to pass radiated and conducted emissions and immunity tests in a variety of configurations (a single run can take hours), and was subjected to electrostatic discharge (ESD) testing to establish its robustness to being rubbed on a cat. It’s a long process, involving a scary padded room full of blue cones, turntables that rise and fall on demand, and a thing that looks a lot like a television aerial crossed with Cthulhu.